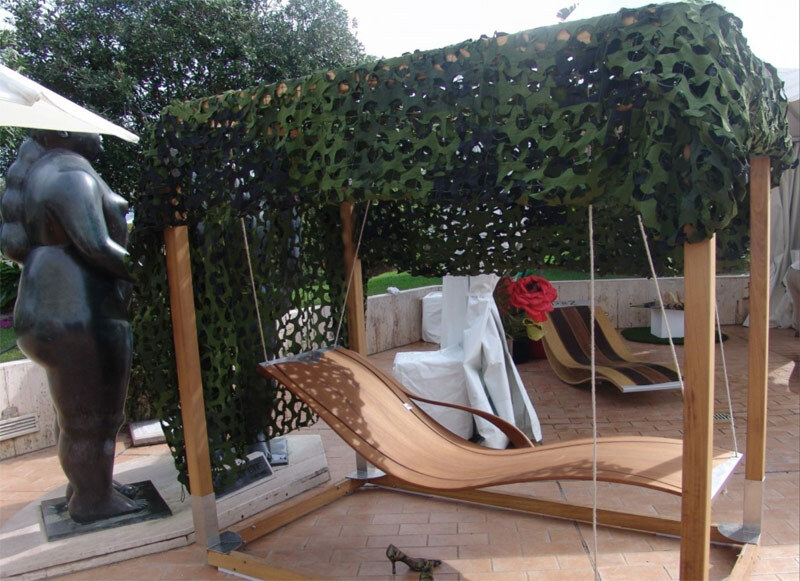 Pooz Design‘s objective is to design innovating products using the latest technological advances in wood work with their unique process of exclusive wood bending. 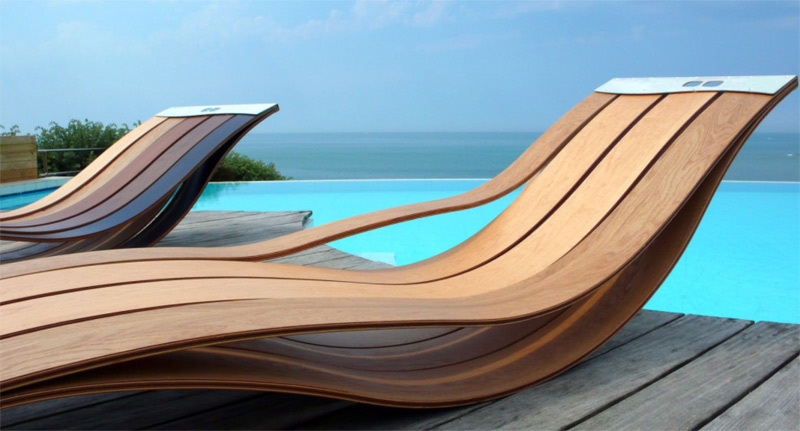 These beautiful wooden lounge chairs are a perfect example of the unique furniture that can be made with this process. 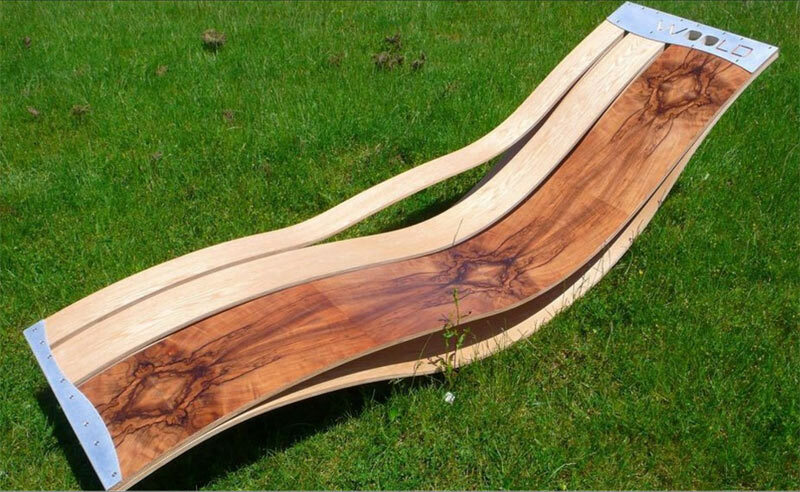 These sun lounger chairs are made of natural wood and have a great organic feel that fits perfectly with any outdoor garden or patio. 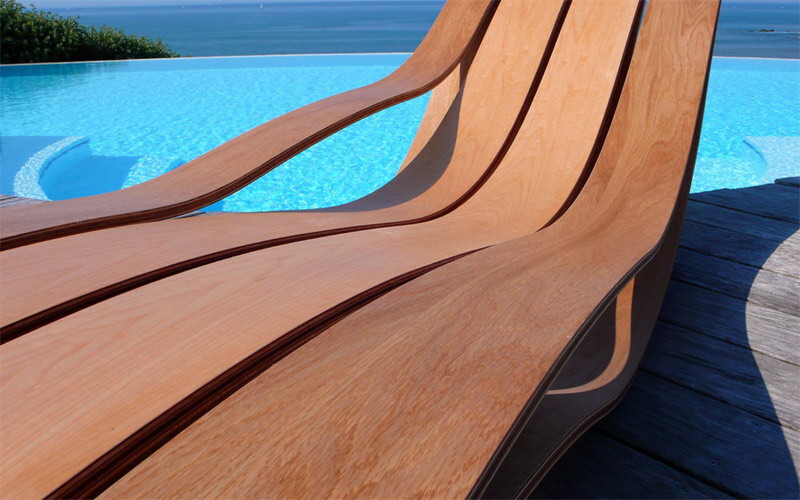 The collection is constructed with three to five wood slats that come in an oak or walnut finish. 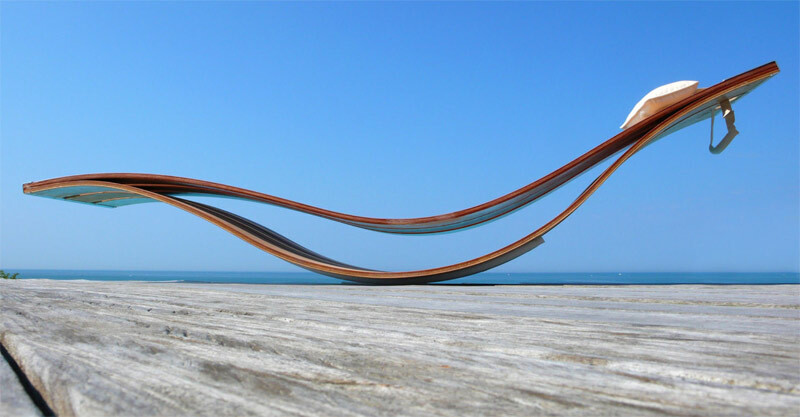 The unique wavy curves of these chairs provide relaxing comfort while looking ultra stylish.